Solution: Panel Built provided a building that could provide protection for the campus and had stone that came half-way up it to blend in with the rest of the Manhattanville College’s architecture. 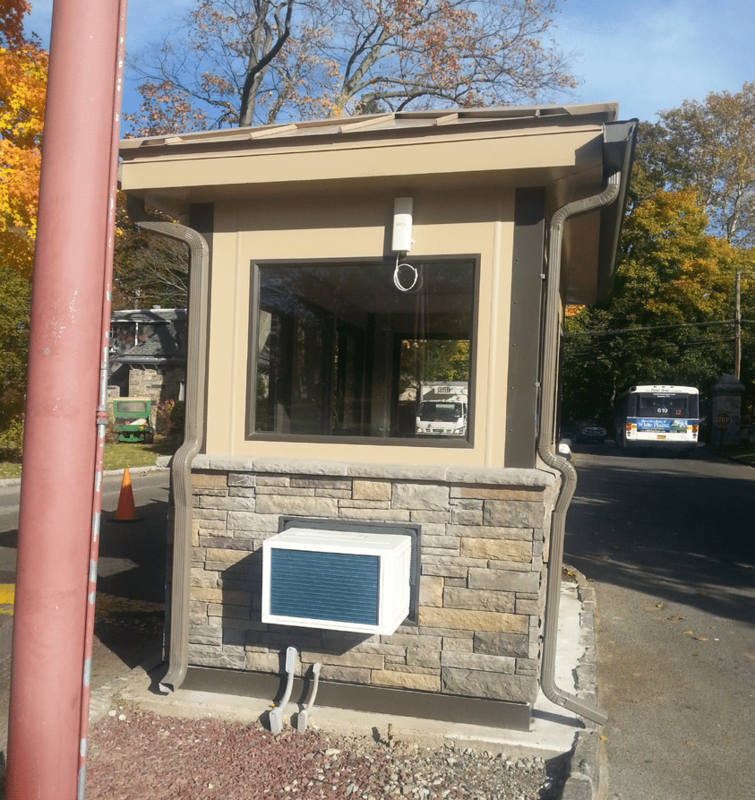 architecturally-styled guard booth. Panel Built contacted a stone vendor, Fullerton Finish Systems, to work with them to attach stones to the panels. After the stone was attached to the panels Panel Built’s team cut them perfectly so they could attach to one another to make the guard booth. 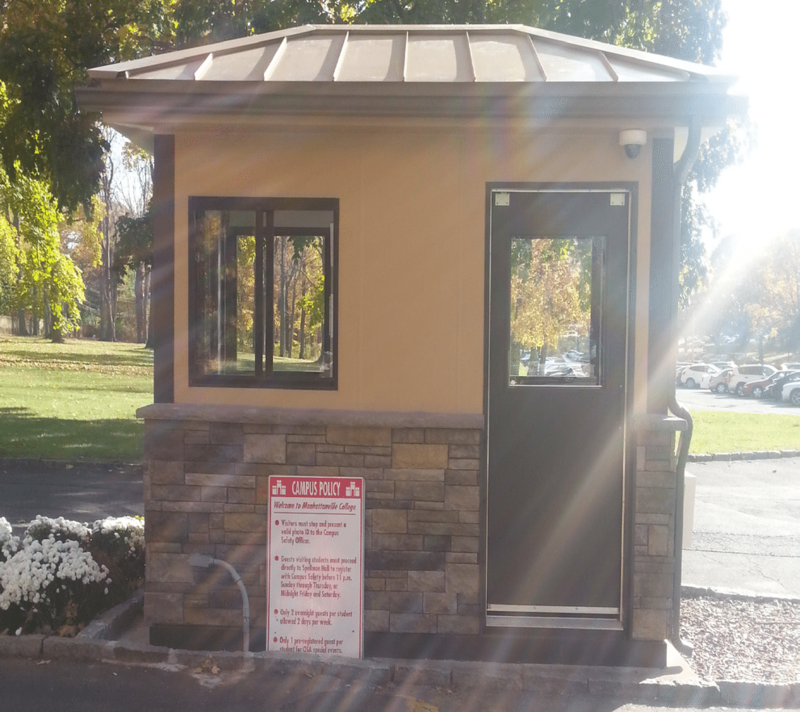 Project Specs: 5′ X 10′ guard booth with stone attached. A standing seam roof. Through wall HVAC.